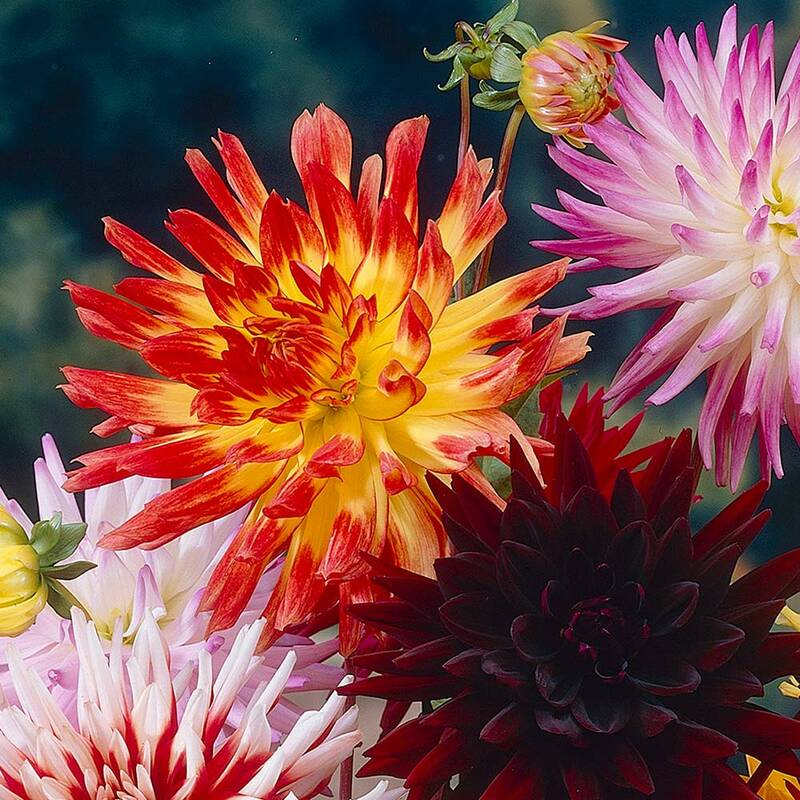 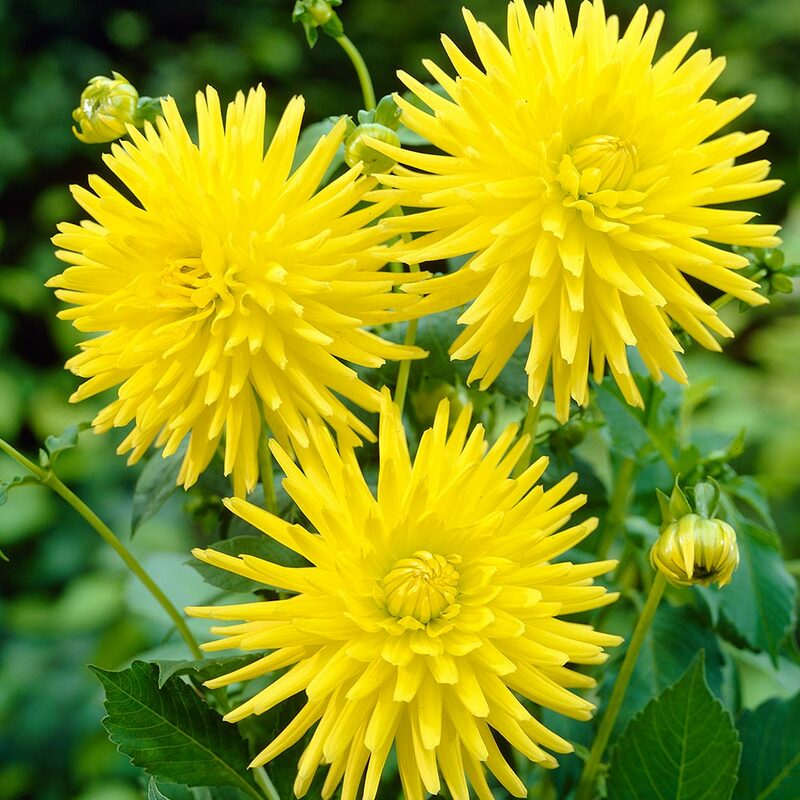 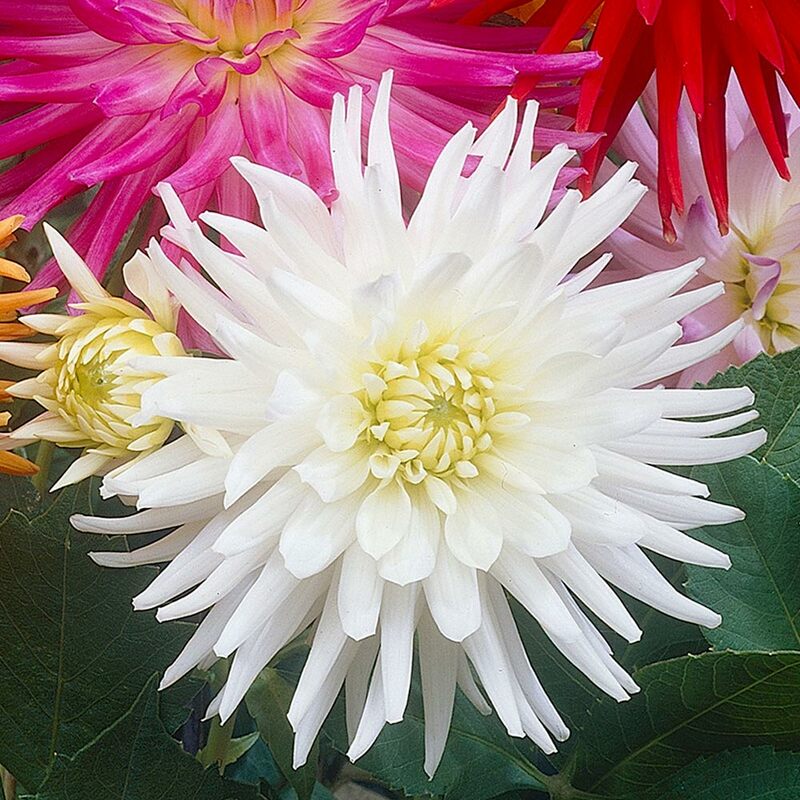 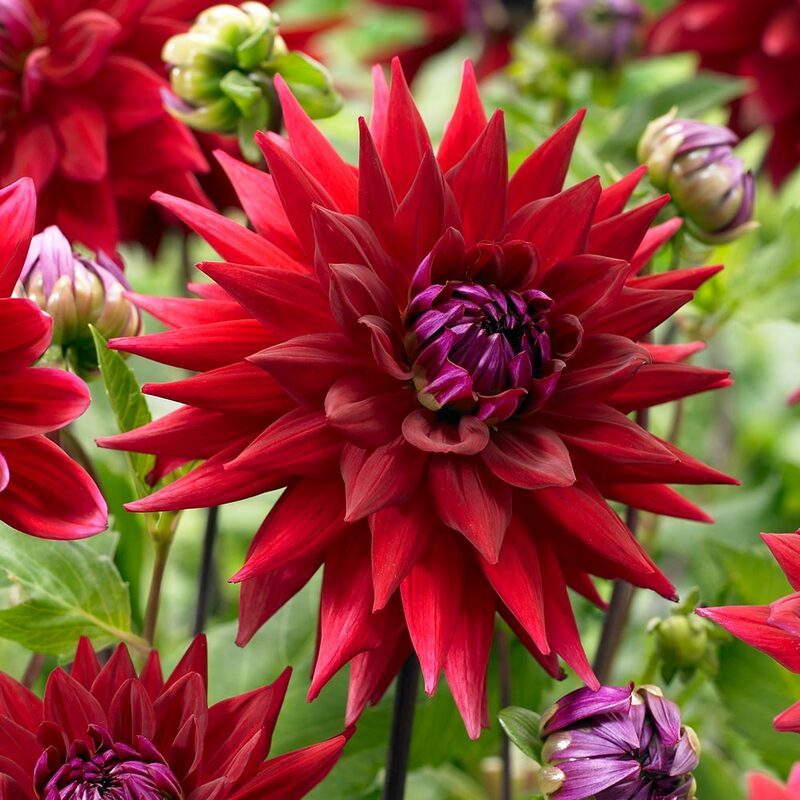 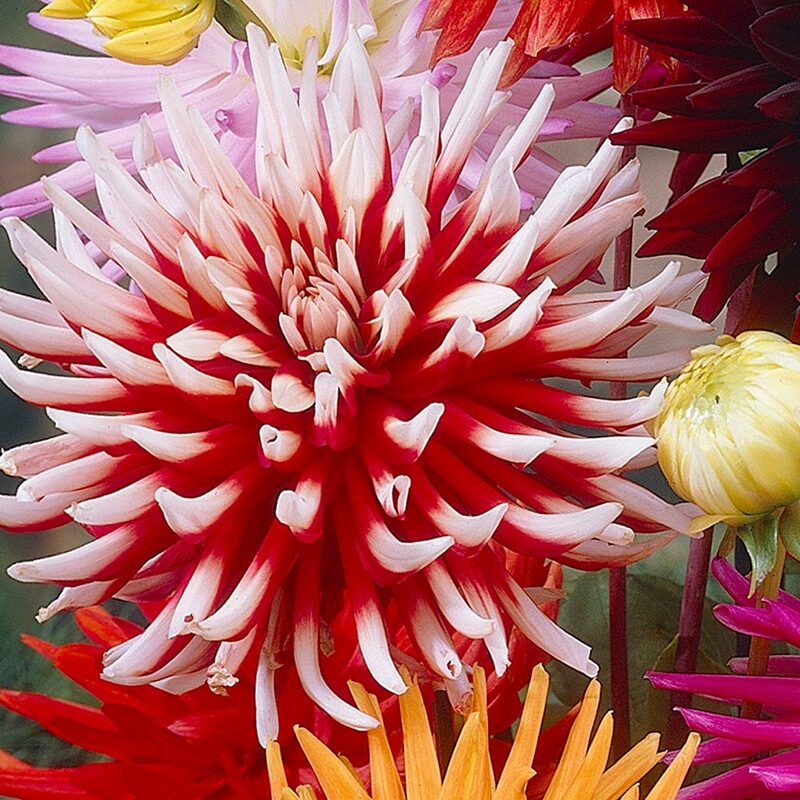 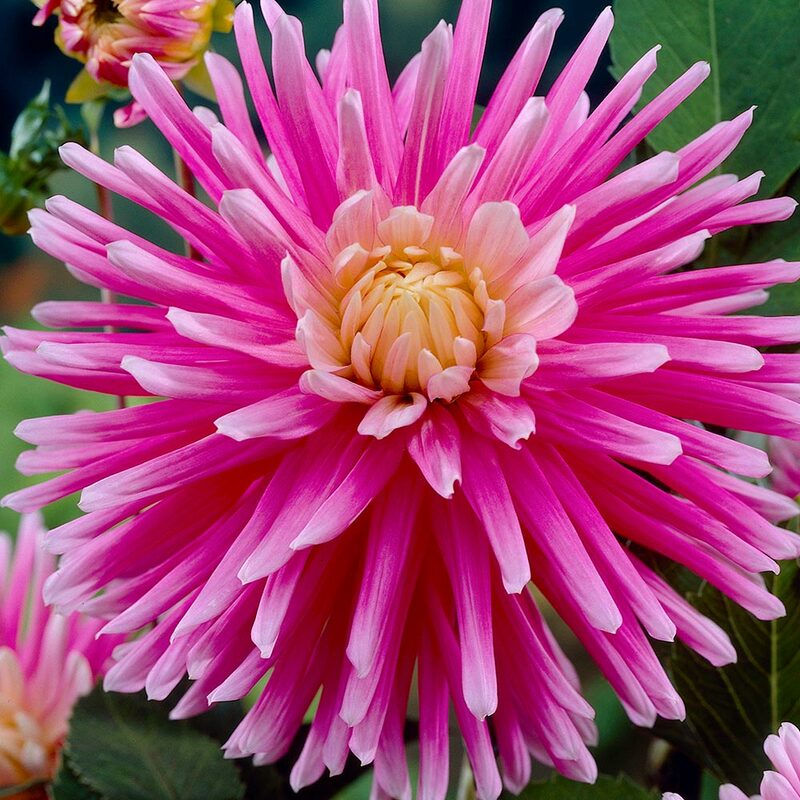 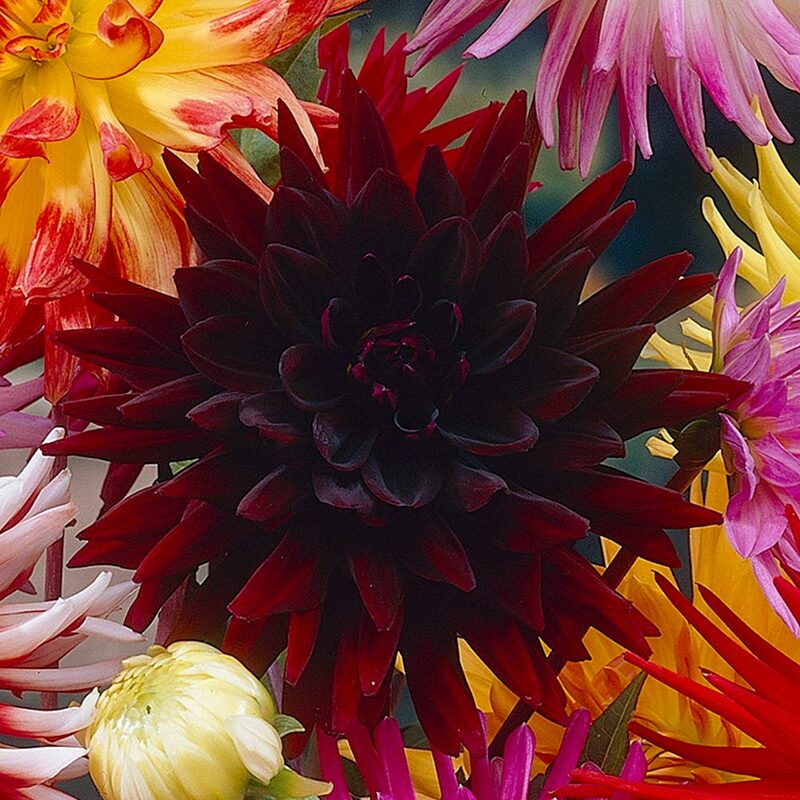 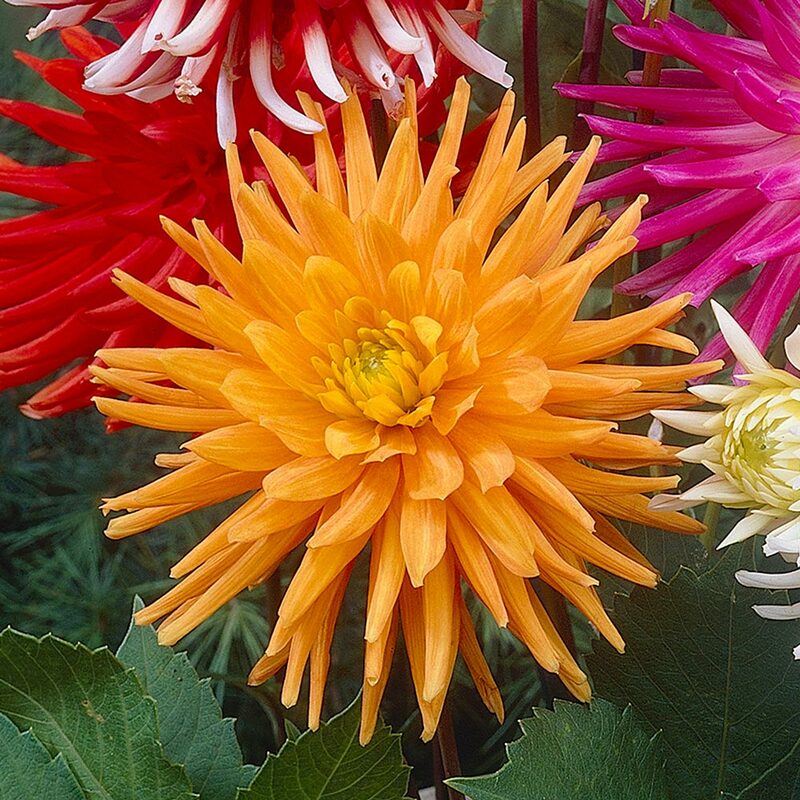 A popular and very effective collection of spiky shaped Dahlias, ideal for growing in the border, where they will produce masses of flowers each summer. 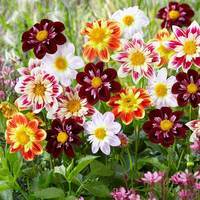 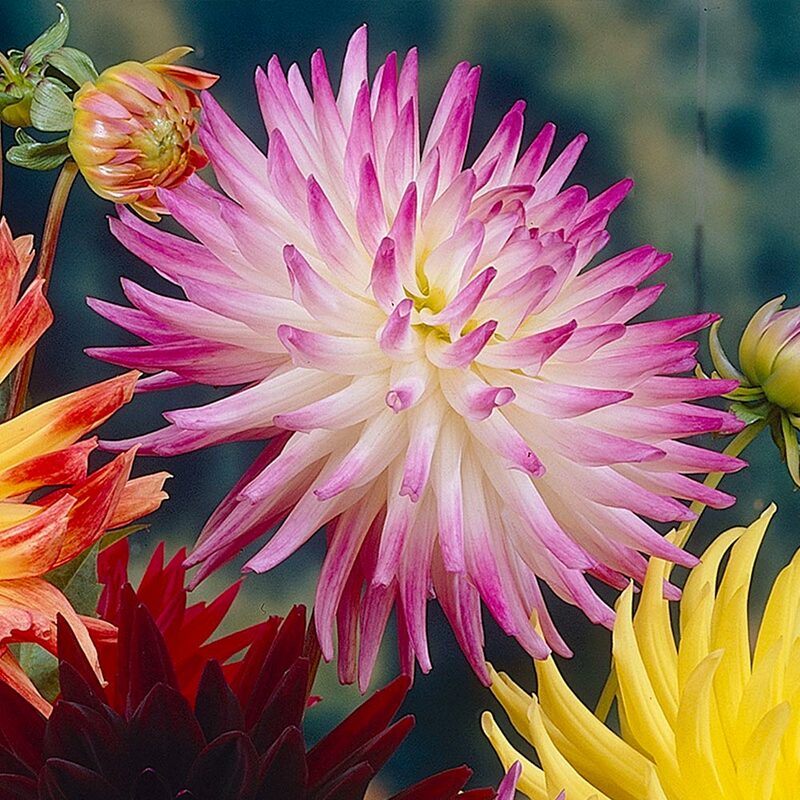 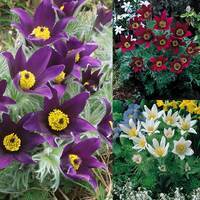 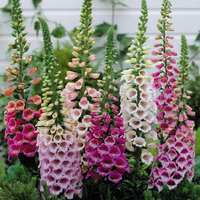 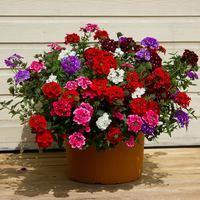 A superb choice for lovers of cut flower displays. 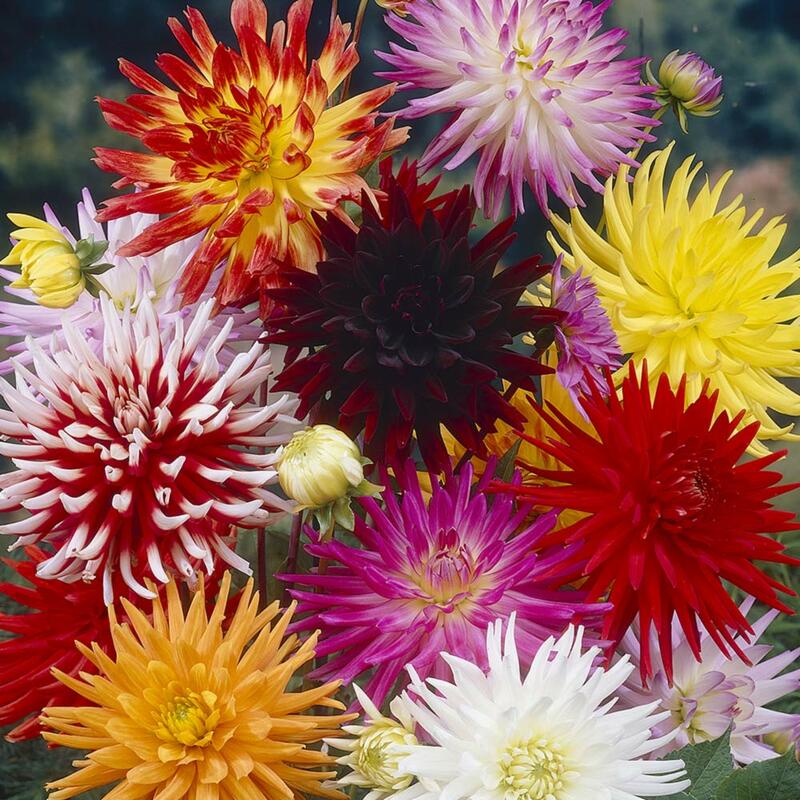 One each of Gudoshnik (orange with red tips), Dutch Explosion (white with pink tips), Chat Noir (burgundy), Kennemerland (yellow), Gold Crown (orange), Good Earth (bright pink), Wittemans Best (red), My Love (white), and Friquolet (red with white tips) supplied. Top grade tubers supplied.